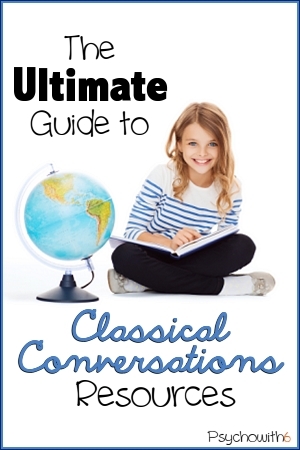 I shared my enthusiasm for using Classical Conversations Foundations materials independently in my post entitled, Why Classical Conversations Should Be a Part of Your Curriculum. My enthusiasm and my readership have grown since I wrote that review. I have discovered a vast array of fabulous ideas for enriching Classical Conversations learning whether you are studying at home like I am or you’re part of a community. Because I am easily overwhelmed, I wanted to simplify by compiling a list for myself of the best resources available. I thought it might help my readers, too. I have grouped the resources into the following categories: general information, organization & memory helps, cycle-specific, and subject-specific (which includes Challenge and Essentials). I hope these resources will help make a great curriculum even more of a blessing for you. Company Resources. The best place to go for general information about Classical Conversations (which I will refer to as CC throughout the post) is the primary website. There you will find a store where you can purchase materials, help locating a CC community in your area, CC Connected (a forum where CC users share ideas), and much more. This video shares more information about what a CC community is all about. Even more beneficial would be attending a local meeting in your area. CC has their own Pinterest account which you can follow to find new products and more. The founder of CC, Leigh Bortins, has also recorded many podcasts relating to CC that you can enjoy in the archives. Reviews. You may be interested in reading reviews of CC after you’ve visited the website. 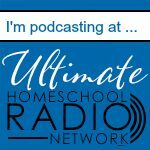 I’ve already shared the link to my review, but I also recommend an interview on The Homeschool Sanity Show I did with a parent and tutor involved with CC. Mary Prather of Homegrown Learners, one of my guests, shares her own review here. Several users share mixed reviews on The Homeschool Mom. Nurturing Learning shares what she likes and what she doesn’t. The best place to get reviews is your local support group if you are thinking of joining a community. Used Materials. I have had people ask where is the best place to buy used materials if they want to use them at home as I do. 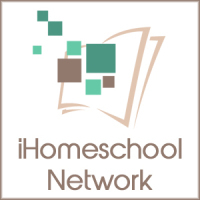 My favorite site for this is Homeschool Classifieds. 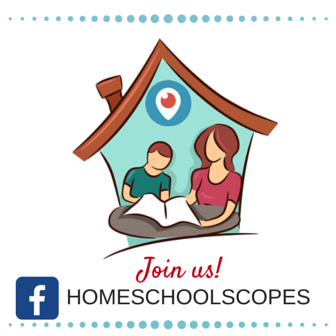 You can also try Leigh’s List and check my post, The Best Places to Buy or Sell Used Homeschool Curriculum. Books. You can find books by grade level at Exodus Books. 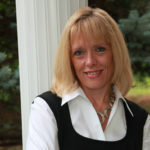 Meagan DeLong’s Pinterest board has links to Bloggers’ book lists for Classical Conversations. Tutor Materials. Lighthouse Educational Supply sells science and art kits for CC tutors. Follow Dr. Melanie Wilson @psychowith6’s board CC General Info on Pinterest. Weekly Ideas. Beth at Classical Conversations at Home gives weekly suggestions (that correspond with the CC community schedule) for supplements to your CC memory work that you can use at home. Teaching Boys and Half a Hundred Acre Wood share how they organize curriculum and schedules around what is taught in community. Planning. Using the following posts as guides, you can organize all the great ideas you get for each week of CC. Melody at And Here We Go, Mama shares an organizing tutorial with CC newbies. Her approach is very comprehensive and includes putting relevant folders in a hanging file organizer on the wall. Not Consumed also recommends weekly files for teachers and parents alike and includes a weekly memory printable in this post. She shares how she organizes her review and timeline cards here. Nurturing Learning gives instructions for setting up a memory box. Half a Hundred Acre Wood shares free weekly planning pages for CC to use instead of (or in addition to) folders. Displaying Memory Work. The memorization of key information is what I love best about CC. There are memory work printables linked in the last section for student notebooks, but what is out of sight can be out of mind. These are some great ideas for keeping memory work on display. Not Consumed and Half a Hundred Acre Wood share how they use a tri-fold display board to showcase memory work. Monilynlu shares a smaller memory board perfect for small spaces. My Child I Love You shows off this gorgeous display of framed memory work. Half a Hundred Acre Wood shares the option of using a large dry erase board with the week’s timeline cards incorporated. Taylor West set up an impressive timeline wall with all her cards. General Memory Helps. And Here We Go Mama created a mini book of memory work that can go mobile. Not Consumed uses this door hanger to help track the memory work that’s been done. J K Dewey shares this fun Jeopardy game idea for review. Try this Pictionary Review Game from A Nurse’s Wildflowers. (She has the kids draw the timeline cards as they go). Quizlet has flash cards for CC cycles. Timeline Memory Helps. This video uses hand motions to go with the Veritas timeline cards if you are still using them as I am. A girl shares the new hand motions for weeks 1-12 of the timeline in this very professional video and for weeks 13-24 in a second video. Follow Dr. Melanie Wilson @psychowith6’s board CC Organization & Memory Helps on Pinterest. Although CC has been studying Cycle 2 during the 2013-2014 school year, using CC independently means you may be interested in Cycle 1 resources any time. If you’re studying with a community, you can refer to this list during the appropriate year. Planning and Ideas. Half a Hundred Acre Wood offers planning pages for Cycle 1 as well as link-ups where you can get ideas from lots of other bloggers. Also see her Cycle 1 Resource list here. Kim Sevier has a very large idea board on Pinterest. Memory Helps. Wisdom and Righteousness sells memory work lap books for Cycle 1. Book lists. A Growing Violet shares a read-aloud book list for Cycle 1. Videos. This playlist includes many different videos specifically to enrich Cycle 1. April of Stories of Our Boys shares BrainPop videos that correspond with Cycle 1. Bible. This video reviews the Exodus memory work. Grammar. This video reviews helping verbs covered in Cycle 1. Jaki Glenn shares this cute idea for using hand cut-outs to remember the weekly helping verbs on Pinterest. Geography. A girl points out each area for Cycle 1 memory work in this video. And Here We Go Mama shares her cute geography review book for Cycle 1. CCing it One Day at a Time shares her picture flash cards for geography. Fine Arts. Nurturing Learning shares lesson plans for use with Drawing with Children for weeks 1-6. Science. And Here We Go Mama recommends this science curriculum as it corresponds to the latter weeks’ science memory work of Cycle 1. These science worksheets on Etsy look great. Follow Dr. Melanie Wilson @psychowith6’s board CC Cycle 1 on Pinterest. Planning and Ideas. You can purchase Teaching Plans for Cycle 2 from Sola Gratia Mom and lapbooks from A Journey Through Learning. Life Your Way offers free printable Notebooking Pages that include history, science, geography, and Bible copywork. Don’t miss Becky Tanner’s Pinterest board and Home Grown Learners Pinterest board full of Cycle 2 ideas. Cross and Quill Media offers a list of resources by week as does Magistra Mommy. Book lists. Life Your Way shares a Cycle 2 book list as does Half a Hundred Acre Wood. Videos. This playlist contains videos appropriate for all of Cycle 2. Bible. This video reviews Ephesians memory work. Our Homeschool Experiment offers Ephesians 6 resources for study. Grammar. Grammar Memory Songs are available for Cycle 2. This grammar video play list was created for this cycle as well. Science. This playlist features science videos for Cycle 2. Fine Arts. Nurturing Learning shares many Great Artists resources appropriate for Cycle 2. Follow Dr. Melanie Wilson @psychowith6’s board CC Cycle 2 on Pinterest. Planning and Ideas. Paula Sloan shares Cycle 3 ideas on her Pinterest board. Half a Hundred Acre Wood shares a thorough list of Cycle 3 resources and a list of supplemental resources. Videos. This Cycle 3 play list, this one, and this one cover all subjects. You can use these to create your own playlist of favorite videos. Bible. This video provides John 1 memorization help. This video provides the same memory help in Latin. Grammar. Classroom Freebies makes this verb tense printable available that works with Cycle 3. I created writing prompts for Cycle 3 that can really enrich kids’ learning. History. The IEW U.S. History writing lessons go well with Cycle 3 history. Geography. This 4D U.S. puzzle would be a great addition to Cycle 3 geography. Latin. This Latin video goes with Cycle 3 Latin work. Science. The My Body science book dovetails nicely with Cycle 3 science. This body puzzle would be an excellent adjunct to your lessons. This video covers the first few weeks of science. Follow Dr. Melanie Wilson @psychowith6’s board CC Cycle 3 on Pinterest. Latin. This is a list of Latin tutorial videos that can add to your Latin studies. This Latin declension song video and these conjugation aids are also a great help. Kayt D has a large Pinterest board dedicated to CC Latin resources. Math. Nicole Lopez has a Pinterest Board for CC Math. Geography. CC Happy Mom has produced geography song videos that will help the kids memorize their geography faster. Kid World Citizen has a thorough guide to map vocabulary that will enrich your geography studies. Triumphant Learning sells a geography field guide that also works well for Challenge A.
Essentials. This video gives an overview of the Essentials program. This video on irregular verbs is an Essentials resource. Allison2524 shares a video playlist for use with Essentials. Michelle B explains how to set up an Essentials notebook in this video. Challenge A. This Pinterest board by Ann Sydnor has resources and ideas for Challenge A. Challenge B. Jill Pettis has a Challenge B board with ideas of interest. Challenge 1. Kimberly Wallace has a Challenge 1 board on Pinterest. Follow Dr. Melanie Wilson @psychowith6’s board CC Subject Areas on Pinterest. I would love for you to subscribe or follow me on Pinterest for more Classical Conversations goodies and ultimate info. Be sure to check out the other great Ultimate Guides at iHomeschool Network. Hey Melanie! Thanks for the super awesome shoutout in your post! Springpad *is* fabulously awesome! You’re welcome, Daniel. I am becoming more of a fan of Springpad every day. If you turned it into an adverb, you did so fabulously! Thanks for stopping by. Ok — thank you for this HUGE blessing, Melanie! You’ve done a great job of compiling everything! Glad you like it, Mary! You keep coming up with more great CC resources, so I’ll have to add them. I’m so happy to have found Home Grown Learners. LOVE this list. I pinned it a while back, but I had not taken the time to read it. you know how Pinterest is. I have this bookmarked now! Thanks for putting in all the hard work to make the list. Making lists full of links can be exhausting! That’s so nice of you to recognize the work. 🙂 I’m so glad it’s helpful.